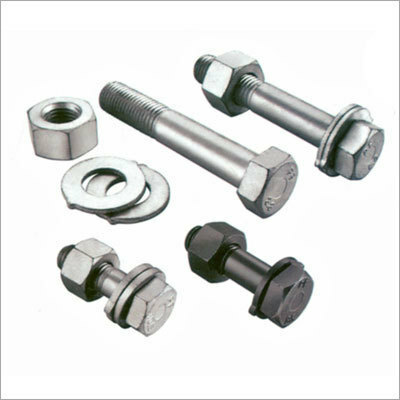 With a precise understanding of the relevant industry, we are counted as the top most trader, exporter and supplier of optimum quality HSFG Bolts & Nuts. Owing to attributes such as sturdiness and rust resistance, these products are widely admired by our esteemed clients. These products are used in various industries for a wide range of applications and are highly needed in the market. Clients can also avail the entire assortment from us at leading-market prices and in varied specifications. “VANI IMPEX” is the “Partnership” based company that started its business in the year 2009 at Ludhiana, Punjab. Our company is engrossed in Manufacturing, Exporting and Supplying of Industrial Fasteners, Stainless Steel Fasteners, Auto Parts and Tractor Parts, Plastic Engineering Goods, Stainless Steel Metals, Steel Wires and Wire Rods and many more. We are also Trading and Supplying a huge assortment of Nut, Bolt, Industrial Hardware etc. Provided products are accurately fabricated by our well experienced professionals by keeping in mind set industrial quality standards in order to make sure the best quality end products to our prestigious clients. Products of our company are highly cherished and acknowledged for their fine finish, precise designs, light weight, easy to install, fine finish, rust resistance, accurate dimensions, weather resistance and many more features. Our offered products find immense applications in the Thermal Power, Railways, Automobile Industries, Petrochemical, Oil, Power, Heavy and Light Industries.